It’s been a while since I posted anything so I’d like to thank all of my readers, both of them, for being so patient. The reason for the hiatus is that I’ve been writing for a host of magazines, instead. The magazine list includes, in alphabetical order, Alphr, Bicycling, Bikes Etc, Cycle Sport, Cycling Active, Cycling Weekly, Cyclist and mbr. If you want to check them out, some of the stories are online. For example, you can see my recent story for Bicycling here. My contributions to Bikes Etc and Cyclist are online here and there may be more in a few weeks so keep checking back. 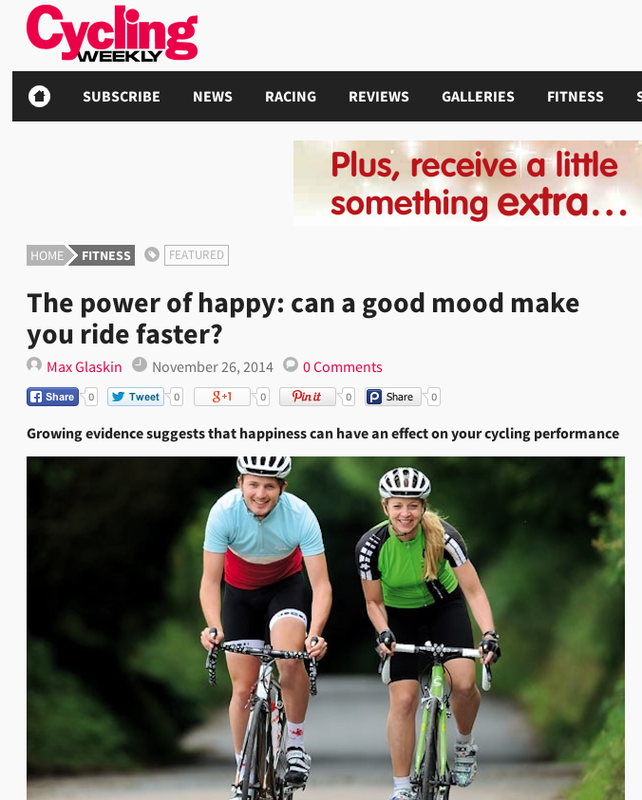 And there are a lot of shorter pieces of mine on Cycling Weekly’s website here. You can read some of my bike-related articles on Alphr here. The other magazines are not published freely online, although subscribers can download digital versions. Top tip: Some public libraries in the UK also make digital versions of cycling magazines available to their members for download for free! I’m still tweeting like crazy about any and every science paper that is related to cycling. I haven’t gone away. I won’t go away. There’s just so much going on that it’s hard to keep up. Still learning. 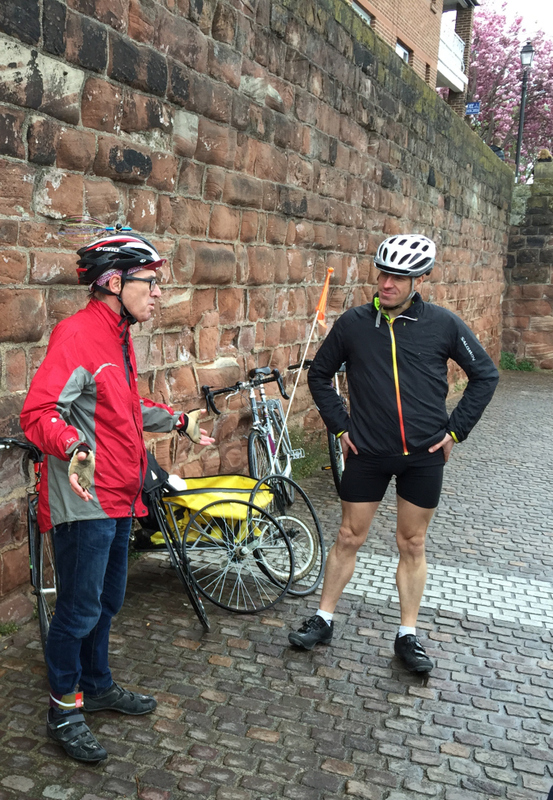 That’s my lesson from the Cycling Science tour in Oxford on the longest day of the year. Even though I’d led it a few times before in other cities and thought I knew it all, I came away knowing even more. 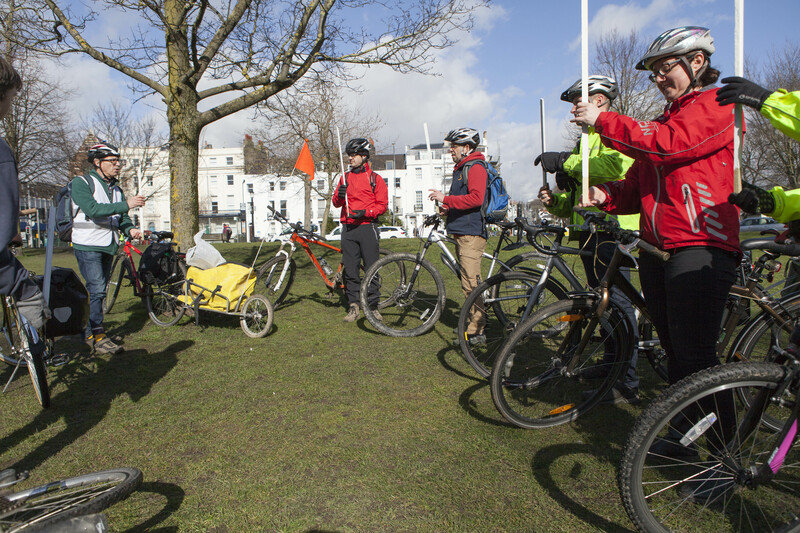 It may have been the lovely bunch of riders who came along – all ages, all genders, all kinds of bikes. It may have been the lovely route plotted by Science Oxford. It may have been the lovely weather. Whatever the trigger, there was a moment on the tour when I gained a little bit more understanding about how best to demonstrate some of the science that makes cycling magic. So it’s not just the lovely riders who discover stuff, en route, from the demonstrations and experiments. Of course, having written a book about Cycling Science, I’d cockily thought there was nothing else to learn. To write it, I’d read hundreds of thousands of words from hundreds of papers and synthesised them into 192 lovingly illustrated pages. Yet, to really understand bicycles and the science that makes cycling work, you’ve got to get hands-on, feet on and, yes, bum on, too. So it was that, during one of the demonstrations, I had a small epiphany. All the demos and experiments had pretty much worked at each stop on our way to Aston’s Eyot. Then, nervously, I tried to show how the lowest spoke in a wheel gets slacker and carries less load than the other spokes. I was worried because it hadn’t worked very well on some of the other tours I’d led. But, in that verdant glade not far from the city centre, on a blazing afternoon on the longest day of the year, it worked perfectly. I became midsummer merry. The lesson for me was when I realised why it had worked. Unwittingly, I’d used a wheel with spokes laced radially. Prevously I’d always used the more common type, with tangential spokes. The difference it made to the lovely bunch of riders may have been small. The difference it made to me was enormous. A key point about wire-tensioned wheels had been made clearly and I had learned something new – to always use a radial wheel for that particular demonstration. 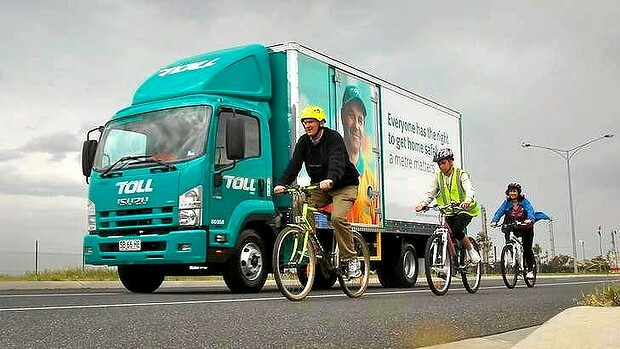 To describe the demonstration in detail here would be to spoil the surprise for future Cycling Science tourers. And really, it is an adventure that has to be hands-on, feet on, and, yes, bum on, too. Naturally I’ll be very happy to bring the new improved resoundingly fantastic demonstration with the radial wheel and the entire tour to everyone who wants it. Drop me a line to book your tour. And, when that happens, which I hope will be soon, I look forward to learning yet more from the whole experience. What did I know of Oxford before my visit last Friday? I wore a dubious pair of Oxford bags in the ’80s and that was the sum of it. Now I know a bit more and it’s a revelation. First, there’s The Story Museum. Why aren’t all libraries and museums like this, including those aimed at grown-ups? These beautifully-designed rooms will spur you to read any book, immediately. As it is, the next Cycling Science presentation will be held there at 6.30pm on Sunday 21 June. I’m privileged to share the bill with Dr Tom Cohen, deputy director of the Transport Institute at UCL. Tom will give an evidence-based presentation about danger, risk, responsibility and, er, helmets. Yes, helmets. So expect a lot of fireworks. I might have to hide under the giant bed in the room upstairs. 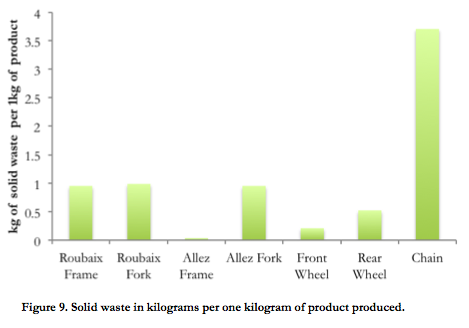 I’m planning to include brand new information about a recently-discovered material that could have as big an impact on bicycles in the 21st century as carbon fibre did in the 20th and steel did in the 19th. You’ll have to come to the talk to find out if you’ve guessed correctly. There will also be a couple of Cycling Science Rides during the day. I’m indebted to Tara at Science Oxford for showing me the paths and tracks past the river and through meadows of this surprising city. Compared to previous Cycling Science rides, these will be positively rural, despite being in the centre of a conurbation. Tara’s picked out a great route and, as ever, they will be family-friendly. 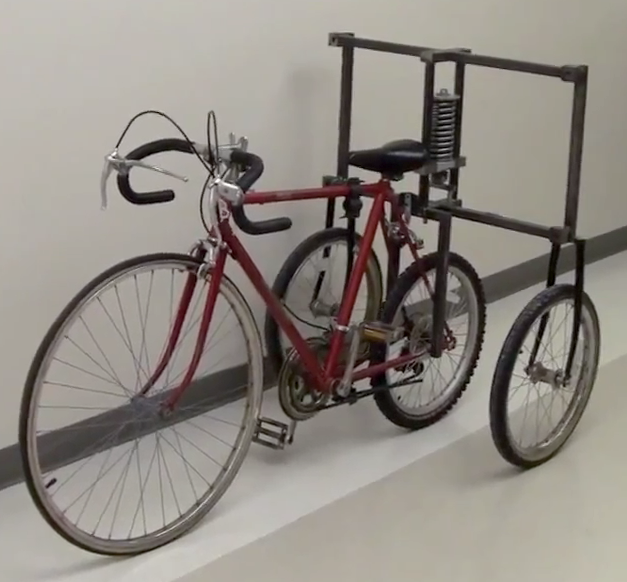 If you think you know HOW a bicycle works, these rides, complete with demonstrations and experiments, will show you WHY a bicycle works. We even dreamed up a couple of new stunts to open your eyes to the magic that is cycling. There will also be an opportunity to purchase signed, discounted copies of Cycling Science, my book which has grown into live talks, led rides and helped me to discover Oxford. If you’ve not heard of the Faculty of Science and Engineering at the University of Chester, you have now. It’s new, fast-moving and extremely welcoming. What’s it got to do with cycling science? Well, the powers that be at the Faculty have their fingers on the pulse and recognise that cycling is blossoming. 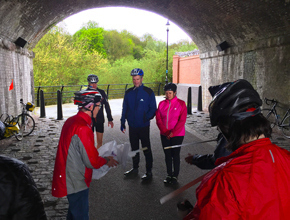 So they invited me to lead a cycling science ride at the weekend, an initiative generously supported by CWAC/iTravel. That’s why a group of people could be found in a back lane near the River Dee, discussing the functions, materials and dimensions of that most under-rated component, the spoke. Tangential, radial, three-cross, four-cross, bladed, steel, aluminium, carbon – all the little niceties were discussed vigorously. 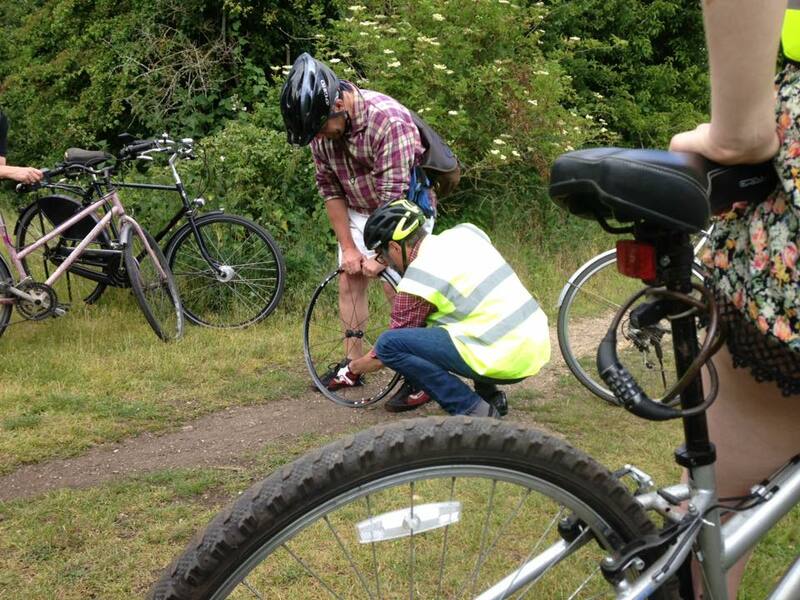 One of the cyclists realised for the first time that the front wheel he’d been using for more than a year has lovely radial spokes – and why his rear wheel doesn’t. To cap it all, another rider, an information systems expert of course, had a tuning app on her smartphone so we could demonstrate to any doubters that it’s the tension in the wire spoke that keeps the wheel together. The weight of a general practitioner, who volunteered innocently, bearing down on the axle was then shown to be enough to reduce the frequency of the lowermost spoke by half a tone. Elsewhere on the ride, along Chester’s glorious Greenway, the effects of rolling resistance were demonstrated by putting some air in the tyres on which an esteemed chemical engineer usually rides almost totally flat. 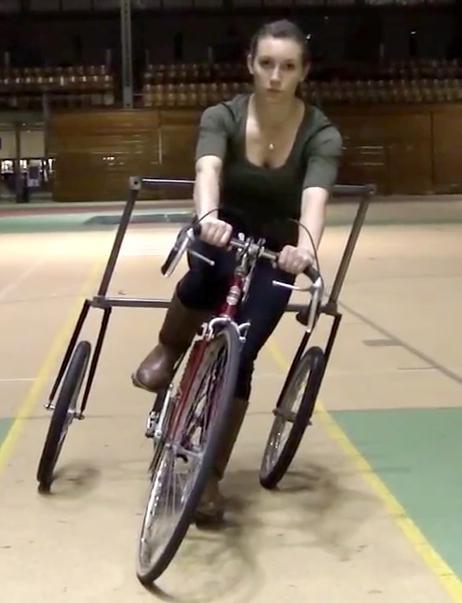 Human balance, steering, the self-stable dynamics of a bicycle, aerodynamics and how to hover simply by pedalling hard (and building an enormous lightweight helicopter) were all covered. So, if you’re looking to study science or engineering, you could do worse than to consider Chester University. Not only do they know HOW a bicycle works, they also know WHY. 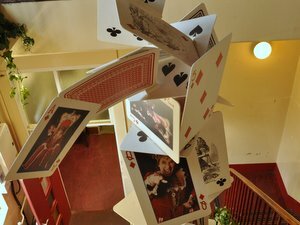 I’ve got my work cut out this month, preparing for several gigs at Edinburgh International Science Festival and Chester University. None of them will be quite the same as each other or the same as what’s gone before. 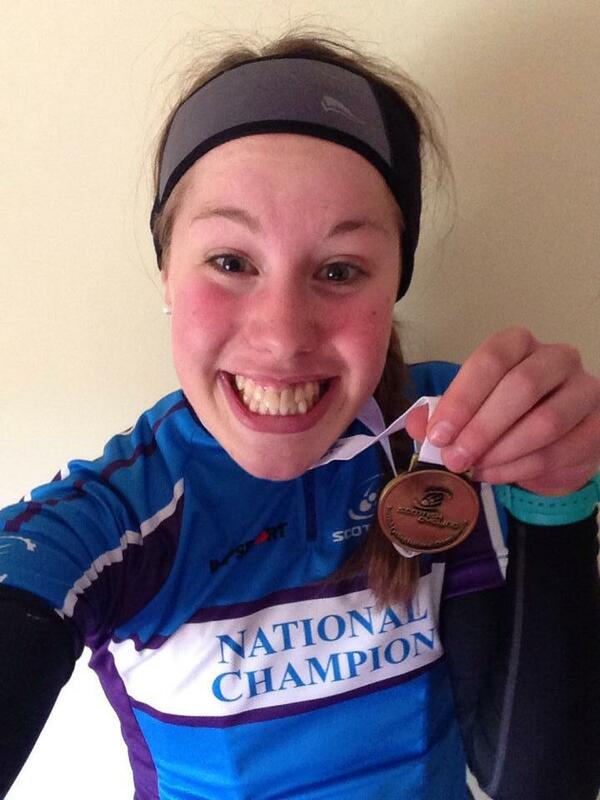 Among the line-up in Edinburgh at 5.30pm on Sunday 12th April will be Scottish national junior women’s road race champion Ashleigh Fraser. She’s going to explain the science of nutrition – what to eat to be an elite cyclist. It’ll tell me where I went wrong because I suspect my teenage diet of apple pies and Cheesey Wotsits weren’t much good. I’m refining the aerodynamics demonstrations and showing some mildly embarrassing home movie from last century, together with some futuristic stuff. A tenuous link between Edinburgh Castle and the science of cycling will also be fully exploited without apology or shame. The first day, Friday 24th April, will be for students from year 7 to university level. 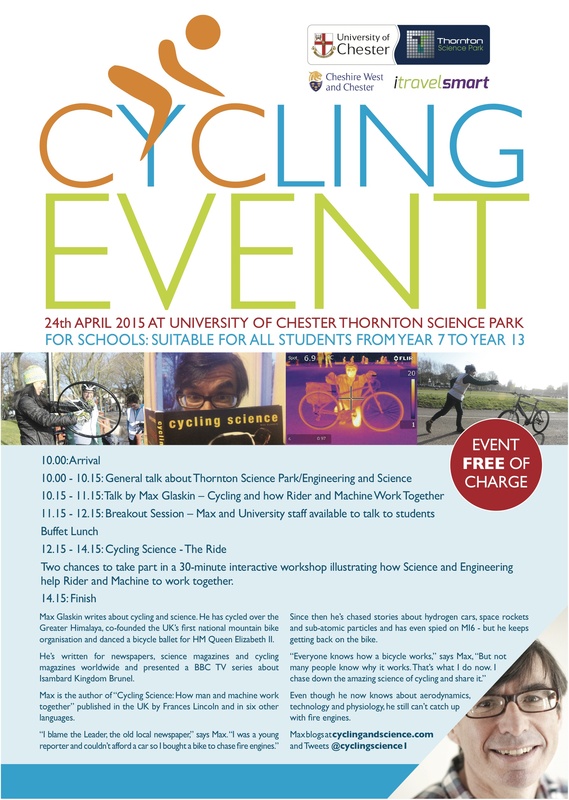 I’ll be giving a cycling science presentation, with a few demonstrations thrown in, and then leading two short cycling science rides around the Thornton campus. On the second day, Saturday 25th April, the University and others will be running several events in the city centre. I’ll lead a FREE public ride about cycling and science from the university’s city campus in the afternoon. 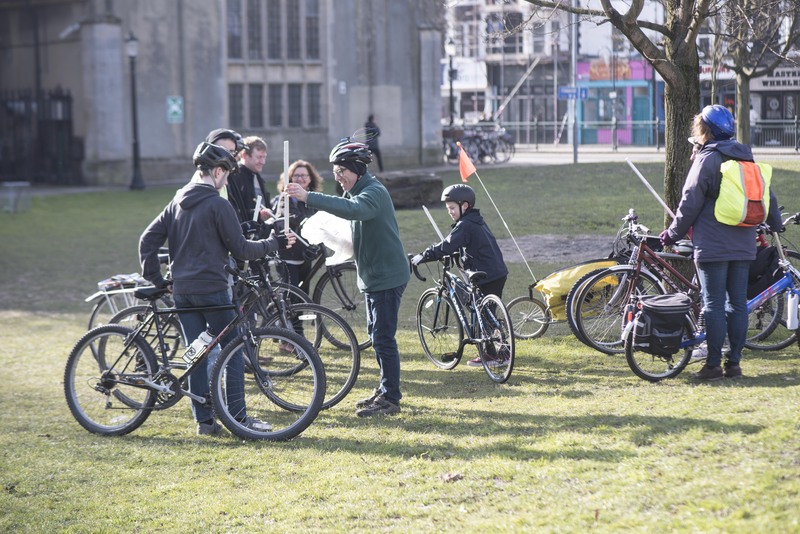 Come along and take part in the experiments and demonstrations to learn about WHY cycling actually works. In the evening I’ll be giving a presentation about what was probably the first mountain bike crossing of the Greater Himalaya. I can’t believe I actually did it so do come along and learn about the ridiculous risks I took as a fool-hardy and unprepared younger self. The Chester events are FREE. 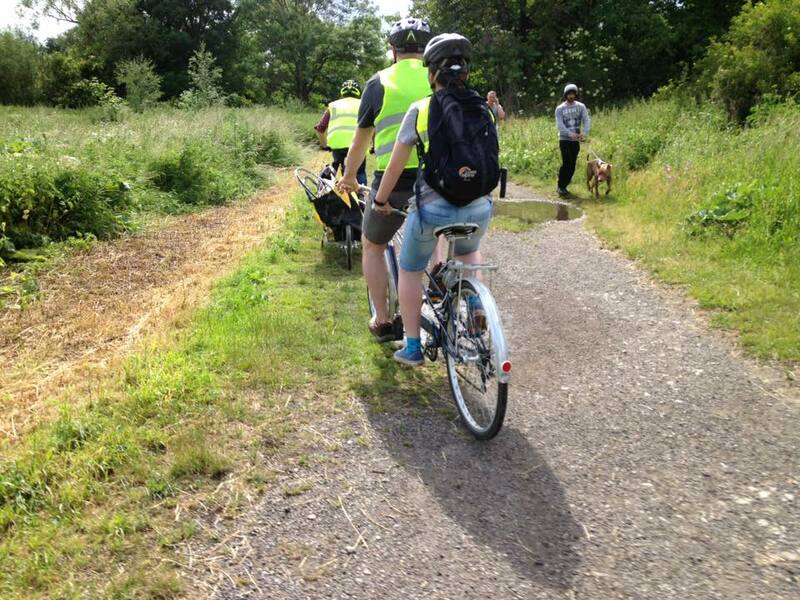 Book your tickets for the Saturday afternoon ride here. 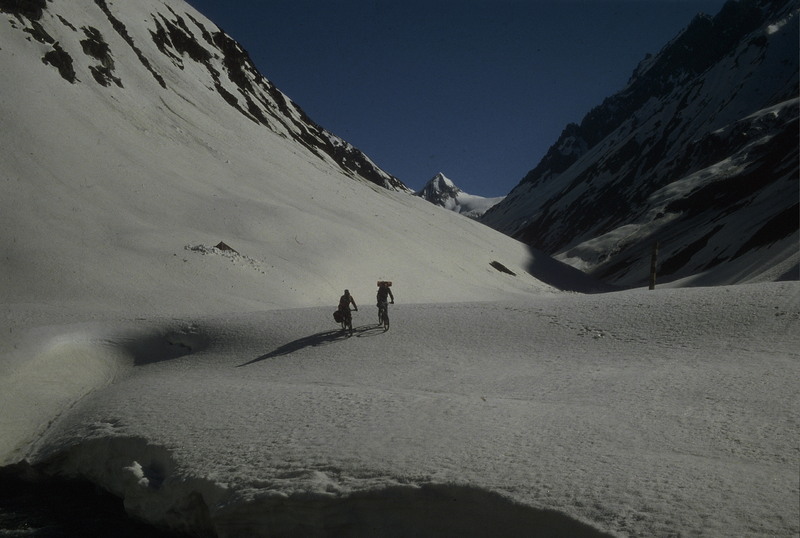 For the Himalayan adventure presentation, book your free tickets here. 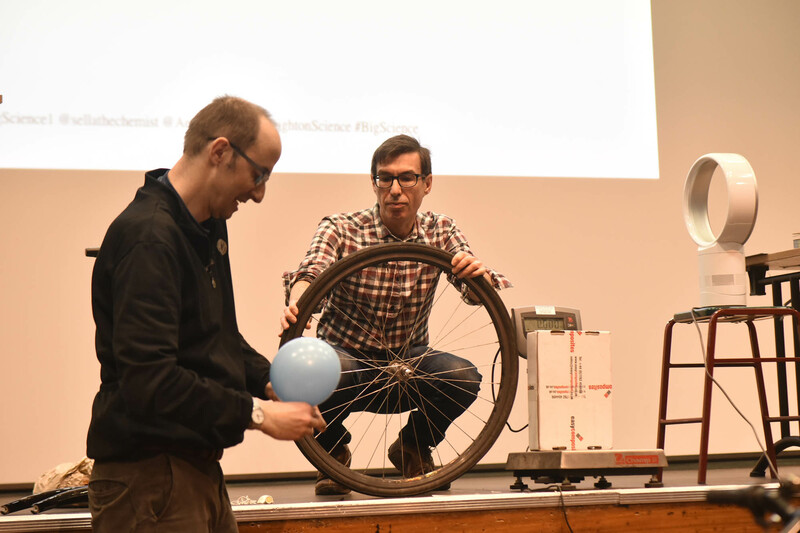 I’m involved with cycling science events during Brighton Science Festival so I hope you can come along to at least one of them. 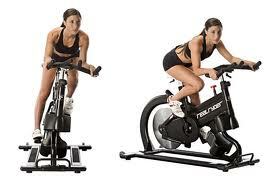 First, there’s Cycling Science: The Ride! They are led rides through Brighton, stopping to do experiments and demonstrations. Tickets are on sale here. 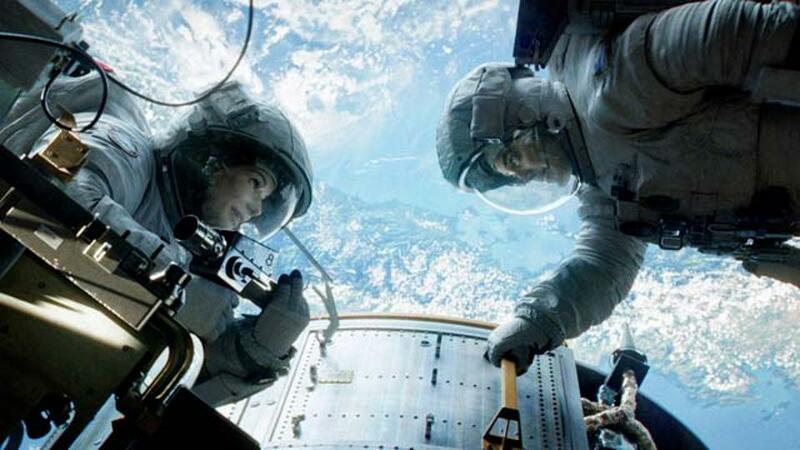 You will be the guinea pigs in the experiments and demonstrations and, no matter how much you think you know about cycling or about science, I hope you’ll find out something new. The rides are family-friendly but tickets are limited so I’ll be doing it at 11.00am on Sunday 1st March and again at 2.30pm on Sunday 1st March. The rides are supported by Rule 5 Bikes, University of Sussex, Martin Burton Photography, Nick Sayers and the Velo Café. 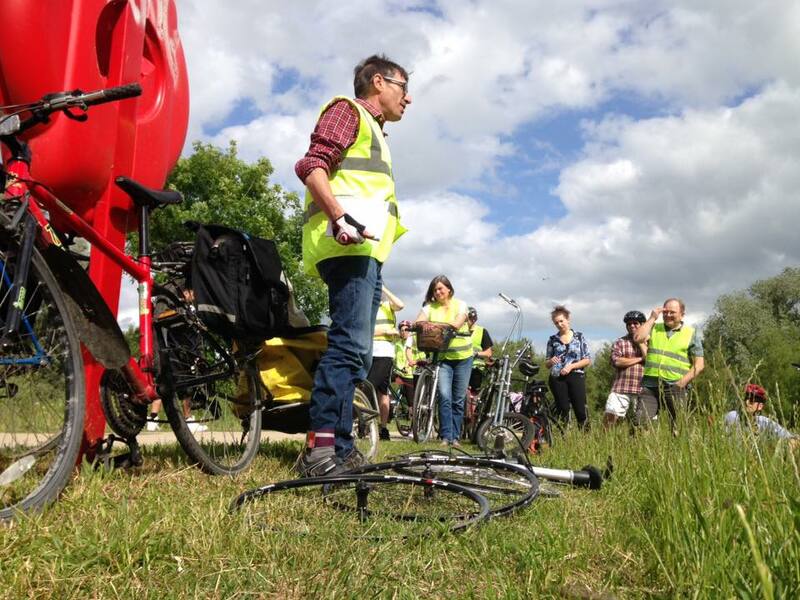 The other event is a presentation all about the science of cycling which I’ll be giving with Professor Andrea Sella of University College London, BBC TV, Radio 4 and Hackney CC. He’s the 2015 recipient of the Michael Faraday Prize, given annually by the Royal Society for excellence in communicating science. Yes, he’s terrific. We’ll be joined by Viki Bloodworth, structural engineer, cycling addict and expert in carbon fibre at Aerotrope. 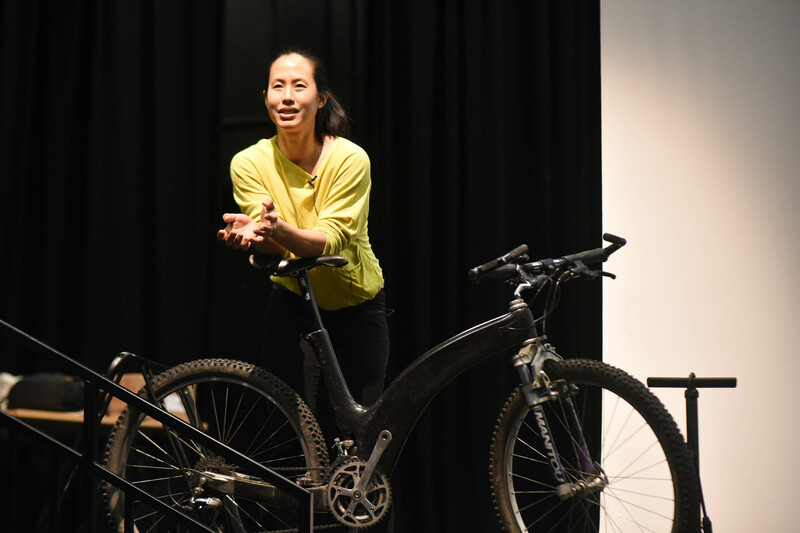 She’ll talk about possible futures for carbon fibre bicycles. And she’ll be bringing an extraordinarily rare and special bike. Viki’s terrific, too. 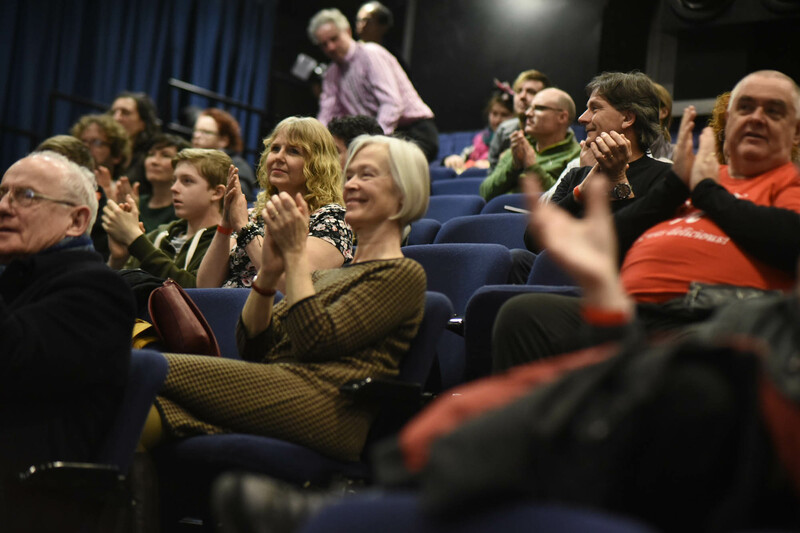 The presentation is part of Big Science Saturday, on 28th February 2015, and it’s the first event of the day, scheduled to start at 10am. Tickets are on sale here. For the time being, my cycling and science stories are not appearing on this blog – because they are being published by Cycling Weekly. As a self-employed journalist, this makes good sense. It means I can earn part of my living by sharing the wide range of new information that continues to pass across my desk. You can read my more recent contributions to Cycling Weekly here and the earliest ones here. Enjoy them and send me your comments. I’m hoping that other publications, too, will soon be carrying my cycling and science stories – they’ll be different in subject, content and style. When there’s news about them, it’ll be posted here. That’s not me at the front and that’s not a fat old man behind. It’s been a tough few weeks, trying to ride as much as possible in between work. It was made tougher by the appearance of a ‘fat old man’ on the track each morning, arriving earlier than me and leaving later. It got tougher still when I learned that he’s not fat and he’s younger than me. Then he had the nerve on Monday to sit on my wheel for 20 minutes while I pushed the air aside as fast as I could. Afterwards, as I ‘warmed down’, he slid past and thanked me for providing shelter from the wind. Polite, yes, but somewhat galling. I could’ve done with some aerodynamic help myself, I thought. The next day I got a copy of new research into just how beneficial wheelsucking can be. It contained the most dramatic figures I’ve yet seen. OK, they were obtained from experiments with dummies in a wind tunnel and shouldn’t be confused with the real world, but they blew me away. 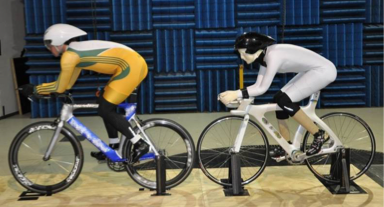 Under ideal conditions, say the Australian researchers, a rider tucked in behind a leader can reduce their drag by 49%. That’s huge. I’m not saying we were in the ideal conditions on Monday morning but it did, then, seem even more unfair if the ‘thin young man’ might have almost halved his drag by tucking in behind me. Mind you, the same research confirmed that by riding close to my rear wheel, he would also have smoothed my wake, reducing my own drag by a useful 5%. So maybe that’s why I did achieve my fastest average speed yet this year. 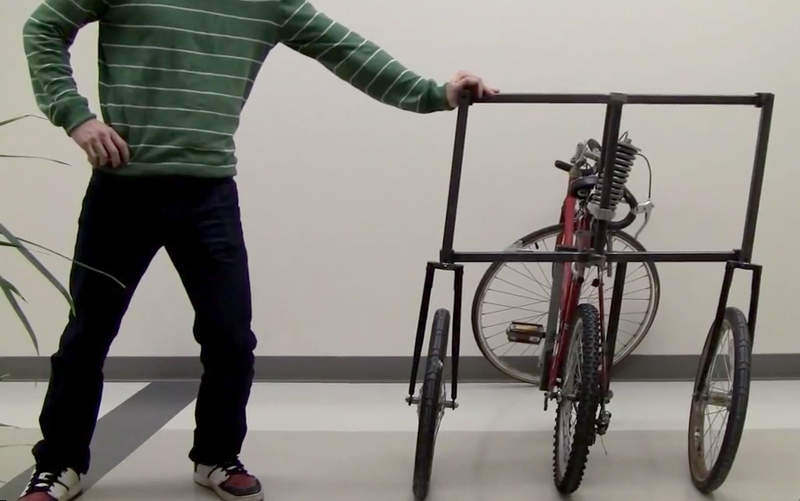 The scientists did some neat research into what happens to the aerodynamics when two cyclists are riding bit and bit, taking turns at the front. You know that feeling you get when a truck overtakes, of being shoved backwards by an invisible maw? Well, the same happens when a rider comes out of the slipstream and draws level with their mate. The drag on both riders increases. Not that I’m going to tell any of this to the ‘thin young man’. Why should I help him any more? It’s about time he took his turn at the front. 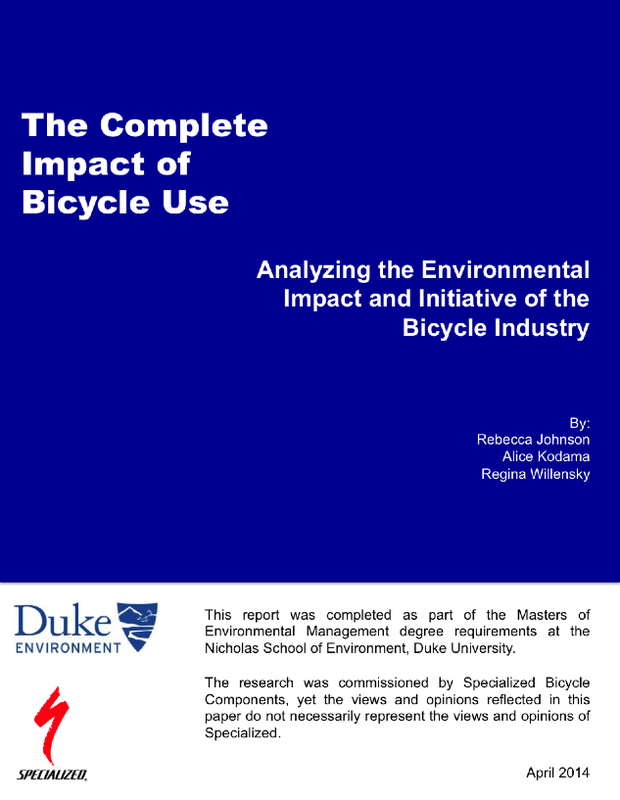 Normally these posts focus on the work of others and I’m usually spoilt for choice because, on average, I come across one new research paper about cycling and science every single day of the year. And that’s in the English language, only. You can see them all by following @cyclingscience1 on Twitter. So today I’ve been struggling to decide whether to describe a new way of detecting when pro cyclists are lying dopers, or the treatment of vulval swelling among long-distance female cyclists (perhaps as a partner piece to the post about the “third testicle“) or how engineers view the benefits of cycle helmets. 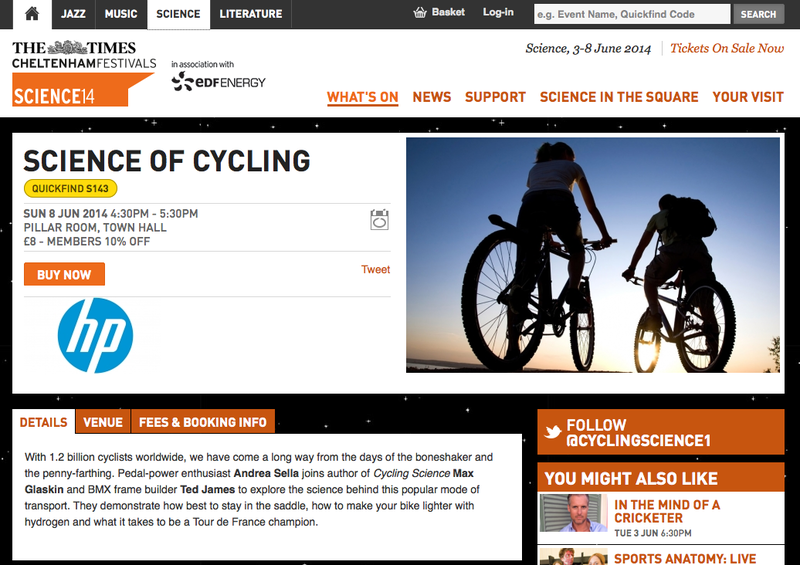 Then it struck me that I should write about the Science of Cycling – a live presentation that’s part of The Times Cheltenham Science Festival, on Sunday 8th June 2014, from 4.30pm. I got involved in October 2013 when I saw tweets that heaped embarrassingly high praise on my book, from someone called Andrea who claimed also to have “a cunning plan”. Falling into Andrea’s trap, I responded. And I’m glad I did. Andrea turned out to be Andrea Sella, professor of chemistry at University College London and an avid cyclist with Hackney CC. Through the magic of Twitter, emails, text messages and very occasional phone conversations, the outline of a new kind of event took shape. Andrea’s love of eye-opening, mind-expanding demonstrations were designed to complement information and facts from my book. Over the months, I’ve blagged equipment and material from the cycling industry while Andrea has accrued weird and wonderful things from the outer reaches of science. But one thing was still missing – an expert practitioner. Fortunately, the solution was found at Bespoked – the Handbuilt Bicycle Show at the Olympic Velodrome last month. There was Ted James – leading edge framebuilder and ultra-skilled BMX rider. We were thrilled when he agreed to take part in the Science of Cycling presentation. Yesterday, the three of us came together for the first time. We put our heads together on the full contents for the hour-long show and, with all the demonstrations, explanations, live action cycling, clear explanations, big-screen graphics and exclusive video clips it came to a little under 5 hours 45 minutes. So, we have a few days to trim it and use only the very best bits which will reveal unusual and unexpected aspects of cycling and science to all those people who are lucky enough to have booked tickets. Hope you can make it and don’t be scared to ask questions because our aim is to provoke and stimulate.